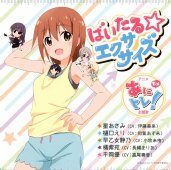 This CD contains the opening song to the TV anime Ani Tore! EX (あにトレ!EX). 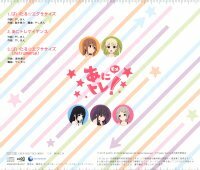 Songs by Itou Miku (伊藤美来), Waki Azumi, Komaki Miyu, Naganawa Maria, Takao Kanon. The lyrics booklet has the lyrics color coded for the parts sung by the individual seiyuu.